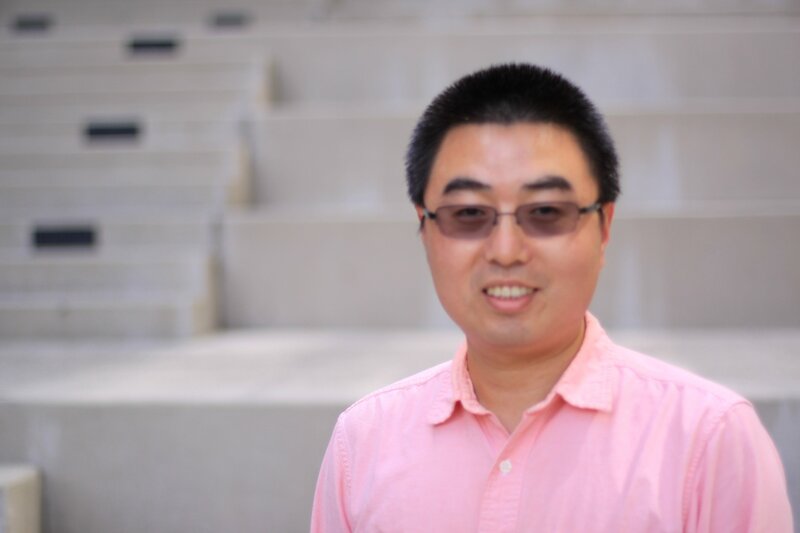 Dr. Jianwu Wang is the Assistant Director for Research at Workflows for Data Science (WorDS) Center of Excellence at San Diego Supercomputer Center (SDSC), University of California, San Diego (UCSD), and an Assistant Project Scientist at SDSC, UCSD. He is also a Visiting Assistant Research Scientist at University of Maryland, U.S. and an Adjunct Professor at North China University of Technology, China. He got his Ph.D. degree from Institute of Computing Technology, Chinese Academy of Sciences in 2007. His research interests include Big Data, Scientific Workflow, Distributed Computing, Service-Oriented Computing, End-User Programming. He has published 50 papers with more than 400 citations. He is associate editor or editorial board member of four international journals, co-chair of three related workshops. He is also program committee member for over 30 conferences/workshops, and reviewer of over 10 journals or books. 2001.9 ~ 2007.7 Ph. D. in Computer Software and Theory, Institute of Computing Technology, University of the Chinese Academy of Sciences. Dissertation: "A Domain Oriented and Business User Friendly Service Model". 2014.3 ~ Present Assistant Director for Research at Workflows for Data Science (WorDS) Center of Excellence, San Diego Supercomputer Center, University of California, San Diego, San Diego, CA, U.S.A.
2010.3 ~ Present Assistant Project Scientist at San Diego Supercomputer Center, University of California, San Diego, San Diego, CA, U.S.A.
2014.8 ~ Present Visiting Assistant Research Scientist at Computer Science Department, University of Maryland, College Park, MD, U.S.A.
2012.5 ~ Present Adjunct Professor at Research Center for Cloud Computing, North China University of Technology, Beijing, China. 2013.4 ~ 2013.9	Summer Session Lecturer at Department of Computer Science and Engineering (CSE) , University of California, San Diego , San Diego, U.S.A.
2008.3 ~ 2010.2 Postdoctoral Researcher in Scientific Workflow Automation Technologies (SWAT) Laboratory, San Diego Supercomputer Center, University of California, San Diego, San Diego, CA, U.S.A.
Amazon Web Services in Education Research Grants: Scientific workflow scheduling in Cloud computing (2010.3-2011.2, 2011.3-2013.2).
. Yu Qian, Hyunsoo Kim, Shweta Purawat, Jianwu Wang, Rick Stanton, Weijia Xu, Ilkay Altintas, Robert Sinkovits, Alexandra Lee, Richard H. Scheuermann. FlowGate: Towards Extensible and Scalable Web-Based Flow Cytometry Data Analysis. Accepted by XSEDE15.
. Jim Davis, Thomas Edgar, Robert Graybill, Prakashan Korambath, Brian Schott, Denise Swink, Jianwu Wang, Jim Wetzel. Smart Manufacturing Technology. Accepted by Annual Review of Chemical and Biomolecular Engineering.
. Zhuohui Gan, Jianwu Wang, Nathan Salomonis, Jennifer C. Stowe, Gabriel G. Haddad, Andrew D. McCulloch, Ilkay Altintas and Alexander C. Zambon. MAAMD: A Workflow to Standardize Meta-Analyses and Comparison of Affymetrix Microarray Data , BMC Bioinformatics Journal, 15(1), 69, 2014.
. Chen Liu, Jianwu Wang, Yanbo Han. Mashroom+: An Interactive Data Mashup Approach with Uncertainty Handling. Journal of Grid Computing, 12(2), June 2014, pages 221-244, Springer. DOI: 10.1007/s10723-013-9280-5.
. Prakashan Korambath, Jianwu Wang, Ankur Kumar, Lorin Hochstein, Brian Schott, Robert Graybill, Michael Baldea, and Jim Davis. Deploying Kepler Workflows as Services on a Cloud Infrastructure for Smart Manufacturing. In Proceedings of the Second International Workshop on Advances in the Kepler Scientific Workflow System and Its Applications, at International Conference on Computational Science (ICCS 2014), pages 2254-2259.
. Ruijuan Chen, Xiaohua Wan, Albert Lawrence, Jianwu Wang, Daniel Crawl, Sebastien Phan, Ilkay Altintas, Mark Ellisman. EPiK-a Workflow for Electron Tomography in Kepler. In Proceedings of the Second International Workshop on Advances in the Kepler Scientific Workflow System and Its Applications, at International Conference on Computational Science (ICCS 2014).
. Wanghu Chen, Ilkay Altintas, Jianwu Wang and Jing Li. Enhancing Smart Re-run of Kepler Scientific Workflows based on Near Optimum Provenance Caching in Cloud, accepted by IEEE 2014 Eighth International Symposium on Scientific Workflows and Big Data Science (SWF 2014) , at the 2014 Congress on Services (SERVICES 2014) , pages 2295-2305.
. Zhuofeng Zhao, Weilong Ding, Jianwu Wang. A Spatio-temporal Parallel Processing Platform for Traffic Sensor Data Streams. In Proceedings of the 2014 Asia-Pacific Services Computing Conference (APSCC 2014).
. Xiaoyu Yang, David Wallom, Simon Waddington, Jianwu Wang, Arif Shaon, Brian Matthews, Michael Wilson, Yike Guo, Li Guo, Jon Blower, Athanasios V. Vasilakos, Kecheng Liu, Philip Kershaw. Cloud Computing in e-Science: Research Challenges and Opportunities. Journal of Supercomputing, August 2014, Springer, DOI: 10.1007/s11227-014-1251-5.
. Zhuofeng Zhao, Jun Fang, Weilong Ding, Jianwu Wang. An Integrated Processing Platform for Traffic Sensor Data and Its Applications in Intelligent Transportation Systems, accepted by IEEE 2014 Second International Workshop on Service and Cloud Based Data Integration (SCDI 2014), at the 2014 Congress on Services (SERVICES 2014).
. Pek U. Ieong, Jesper Sorensen, Prasantha L. Vemu, Celia W. Wong, Ozlem Demir, Nadya P. Williams, Jianwu Wang, Daniel Crawl, Robert V. Swift, Robert D. Malmstrom, Ilkay Altintas, Rommie E. Amaro. Progress towards automated Kepler scientific workflows for computer-aided drug discovery and molecular simulations. In Proceedings of the Second International Workshop on Advances in the Kepler Scientific Workflow System and Its Applications, at International Conference on Computational Science (ICCS 2014), pages 1745-1755.
. Marcin Plociennik, Tomasz Zok, Ilkay Altintas, Jianwu Wang, Daniel Crawl, David Abramson, Frederic Imbeaux, Bernard Guillerminet, Marcos Lopez-Caniego, Isabel Campos Plasencia, Wojciech Pych, Pawel Ciecielag, Bartek Palak, Michal Owsiak, Yann Frauel and ITM-TF contributors. Approaches to Distributed Execution of Scientific Workflows in Kepler. In Fundamenta Informaticae, 128(3), 2013, [PDF].
. Chen Liu, Jianwu Wang, Yanbo Han. Situation-Aware Data Service Composition Based on Service Hyperlinks. In Proceedings of the Sixth International Workshop on Personalization in Cloud and Service Computing (PCS 2013) at The 14th International Conference on Web Information System Engineering (WISE 2013), pages 153-167.
. Cheng Zhang, Xiaofang Zhao, Jianwu Wang. An Item-Targeted User Similarity Method for Data Service Recommendation. In Proceedings of the First International Workshop on Service and Cloud Based Data Integration (SCDI 2012) at IEEE International EDOC Conference. [PDF], pages 172-178.
. Chen Liu, Jianwu Wang, Yan Wen, Yanbo Han. A Unified Data and Service Integration Approach for Dynamic Business Collaboration. In Proceedings of 2012 IEEE the First International Conference on Services Economics . [PDF], pages 54-61.
. Jianwu Wang, Ilkay Altintas. Early Cloud Experiences with the Kepler Scientific Workflow System. In Proceedings of the First International Workshop on Advances in the Kepler Scientific Workflow System and Its Applications at ICCS 2012 Conference. [PDF][Slides], pages 1630-1634.
. Jianwu Wang, Daniel Crawl, Ilkay Altintas. A Framework for Distributed Data-Parallel Execution in the Kepler Scientific Workflow System. In Proceedings of The First International Workshop on Advances in the Kepler Scientific Workflow System and Its Applications at ICCS 2012 Conference. [PDF][Slides], pages 1620-1629.
. Ilkay Altintas, Jianwu Wang, Daniel Crawl, Weizhong Li. Challenges and Approaches for Distributed Workflow-Driven Analysis of Large-Scale Biological Data. In Proceedings of the Workshop on Data analytics in the Cloud (DanaC2012) at EDBT/ICDT 2012 Conference. [PDF], pages 73-78.
. Jianwu Wang, Jian Yu. A Business-Level Service Model Supporting End User Customization. In Proceedings of the First International Workshop on Telecom Service Oriented Architectures (TSOA-07), at the Fifth International Conference on Service-Oriented Computing (ICSOC 2007).
. Wanghu Chen, Yanbo Han, Jing Wang, Chen Liu, Jianwu Wang. Approach to Adaptive Service Matchmaking. Journal of Southeast University (English Edition). 23(3), 2007.
. He Huang, Zhongzhi Shi, Jianwu Wang and Rui Huang. DDL: Embracing Actions into Semantic Web. In Proceedings of IIP2006 (2006 IFIP International Conference on Intelligent Information Processing), 2006.
. Jian Yu, Tan Phan Manh, Jun Han, Yan Jin, Yanbo Han, Jianwu Wang. Pattern Based Property Specification and Verification for Service Composition. In Proceedings of Seventh International Conference on Web Information Systems Engineering (WISE 2006).
. Jian Yu, Jun Fang, Yanbo Han, Jianwu Wang, and Cheng Zhang. An Approach to Abstracting and Transforming Web Services for End-user-doable Construction of Service-Oriented Applications. In Proceedings of the Second International Conference on Grid Services Engineering and Management (GSEM'05). Lecture Notes in Informatics.
. Gang Li, Jianwu Wang, Jing Wang, Yanbo Han, Zhuofeng Zhao, Roland M. Wagner, Haitao Hu. MASON: A Model for Adapting Service-Oriented Grid Applications. In Proceedings of the Second International Workshop on Grid and Cooperative Computing (GCC 2003), LNCS 3032, pages 99-107, 2003.
. Gang Li, Yanbo Han, Zhuofeng Zhao, Jianwu Wang, Roland M. Wagner. An Adaptable Service Connector Model. In Proceedings of the First International Workshop on Semantic Web and Databases (SWDB 2003), co-located with VLDB 2003, pages 79-90, 2003.